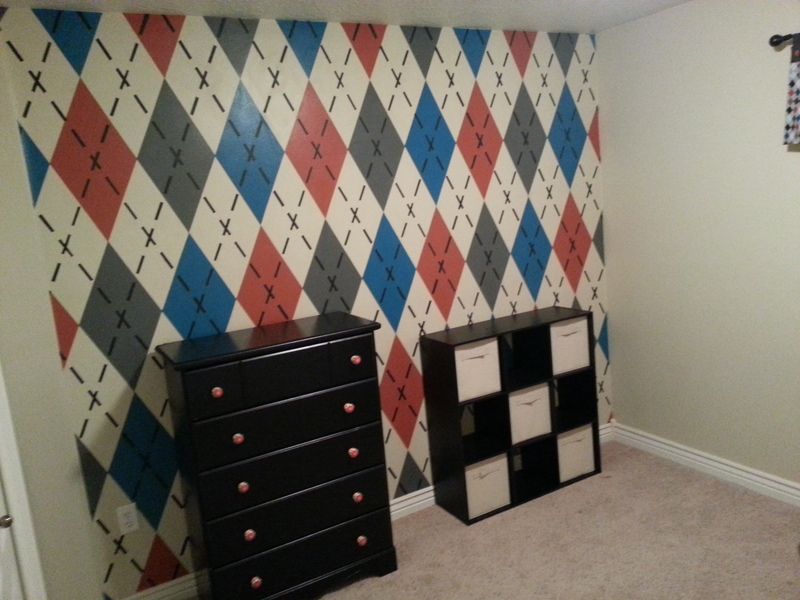 Fix It Handyman LLC has been busy and we have been working on some neat projects. Our Customer was having a baby soon and said she wanted something fun for her new son. 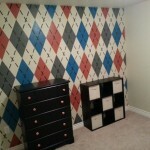 So the Fix It Handyman team came up with this argile paint design idea for her and she loved it! This project was an amazing amount of work but a ton of fun to think up and do! We ended up using about 10 roles of painters tape (We use frog tape when we do use tape. It’s our favorite) Please comment below and let us know what you think about it. We always like feedback even if you hate it! We really hope you like it though! This looks so good! I will be calling you soon to paint for me!